Hareon Solar Technology Co., Ltd. (www.hareonsolar.com) is one of the largest silicon solar cell production company in China, foundated in 2004. Hareon Solar has is specialized in producing mono silicon stick/multi cast ingots, and wafer cutting for the photovoltaic industry. We have three wholly-owned subsidiaries are specialized in producing solar cells and solar panels. There is in our facilities a complete photovoltaic chain with integrated production of silicon ingots, wafers, solar cells and solar panels. Hareon’s customers and suppliers are around the world, that is a sign for good relationships with them. The stable and sustainable supply relationship makes it possible for Hareon Solar to make tremendous contributions to the global undertaking of the solar energy. We have been improving photovoltaic power devices and promote extensive application of solar energy worldwide. Our products are well sold in many European countries which are the main solar market today: Germany, Spain, Italy and France. In Europe, it has been established localized sales teams to better serve the customers. Meanwhile, Hareon has turned its efforts to future solar markets: the US, Korea, India and Australia. Hareon’s world-leading production facilities and a research team composed of eminent experts are the pillars of development in the photovoltaic industry, with a purpose to providing low cost photovoltaic products (solar cells and solar panels for all kinds of off-grid and grid-tied PV systems), and services to customers, creating solar power comparable to conventional energy. All this will make comfortable human life in a near future. solar panels (photovoltaic modules) – higher photoelectric conversion efficiency, 25 years of stable quality guaranty. 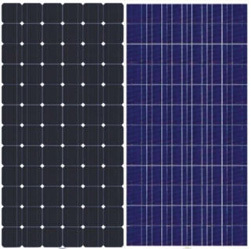 The other characteristics of PV modules are: the conversion efficiency of poly-Si panels can reach as high as 14.5%, while mono-Si panels can reach as high as 16%; 18V/24V DC steady output; outstanding weak light effect provides good performances; 10 years- output power ≥ 90%, and 25 years – output power ≥ 80%. 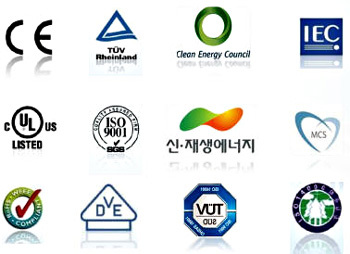 International Certificates for solar module such as TUV, VDE, MCS, UL, etc (see figure below). Hareon attaches importance to the strategic cooperation with the upstream silicon suppliers, with focus put on the large-scale manufacturing of the solar cells and PV modules to make it more competitive. Hareon boasts a well-experienced management, technological and R&D team with innovation spirit and professional dedication, most of whom have many years of professional experience in PV field, thus they may accurately understand the customers’ demands and development trend of PV industry. Here could download and see our summary: Hareon introduction. We prepared a short video about us. Hareon is always dedicated to becoming a world-class PV manufacturing enterprise!